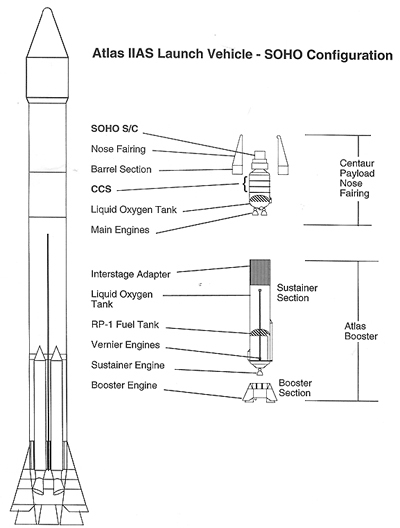 SOHO was launched onboard the U.S. Atlas II-AS (AC-121) spacecraft on Saturday 2 December 1995 (08:08 UT). Thrust: 39 400 kgf. Isp: 316 sec.